Quality chocolate can elevate your mood by impacting your hormones, help you get rid of headaches & irritation during PMS. Indeed, women (91%) love chocolate more than men (87%) but not all know that various chocolate types have different effect on women’s health. Bitter black chocolate (55% cocoa & minimal sugar) - antioxidant, cavity free, low in calories, natural UV and aging protection for your skin. It is the most useful type. Dark chocolate (40% of cocoa & more sugar) - low calories content, natural aphrodisiac. Milk chocolate contains more milk solids & less cocoa. White chocolate (0% natural cocoa) - high sugar & food additives content. Not recommended. Make sure you moderate your consumption! 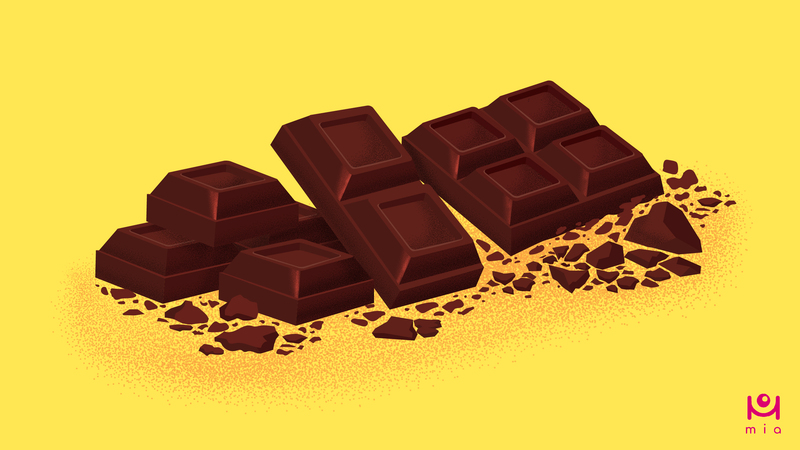 No more than 40g of darker chocolate per day!